Feline Network of the Central Coast | Feline Network of the Central Coast is a non-profit humane organization based in San Luis Obispo, California and serves the Central Coast. Feline Network of the Central Coast is a San Luis Obispo based non-profit humane organization dedicated to the spaying and neutering, care, rescue and adoption of kittens and cats. We strive to communicate the importance of responsible pet care and ownership and to educate the public on the necessity of spaying and neutering. Our volunteers carry out our work in the City of San Luis Obispo and South San Luis Obispo County, with limited work in the Coastal Communities. We regret we do not currently have the resources to provide help in North County. Feline Network members are all volunteers — we have no paid staff. We work with veterinarians who generously donate their time to provide medical services at discounted fees. We are a tax exempt non-profit humane organization, 501C3 tax ID# 03-0467307. We rescue cats and kittens who are lost or who have been abandoned by their owners. They have no one else to care for them unless we intervene. Often, they are sickly or malnourished. They are placed in our foster home program, where their physical and medical needs are met in a secure and loving environment. We then adopt them into caring homes — no matter how long it takes. Feral cats are the offspring of unaltered house cats who are lost or who have been abandoned by their owners. Because their kittens are not handled by humans, they grow up to be wary and fearful of people. We advocate a Trap-Neuter-Return program (TNR). This greatly reduces the birth rate, and it allows the cats to live out their lives in healthy, managed colonies. This world-wide TNR program has proven to be a success wherever it has been instituted. For those dealing with feral cats, we offer advice, we loan out traps, and we provide hands-on trapping assistance when needed. Consider including the Feline Network of the Central Coast in your estate plans or your life insurance policy. When you give to a charity, your estate is entitled to a charitable deduction for the full value of the gift. To make a bequest in your will, contact a financial planner, an attorney, or the San Luis Obispo Community Foundation. Feline Network does not have a formal facility or shelter. All of the funds needed to maintain our network come from your donations. 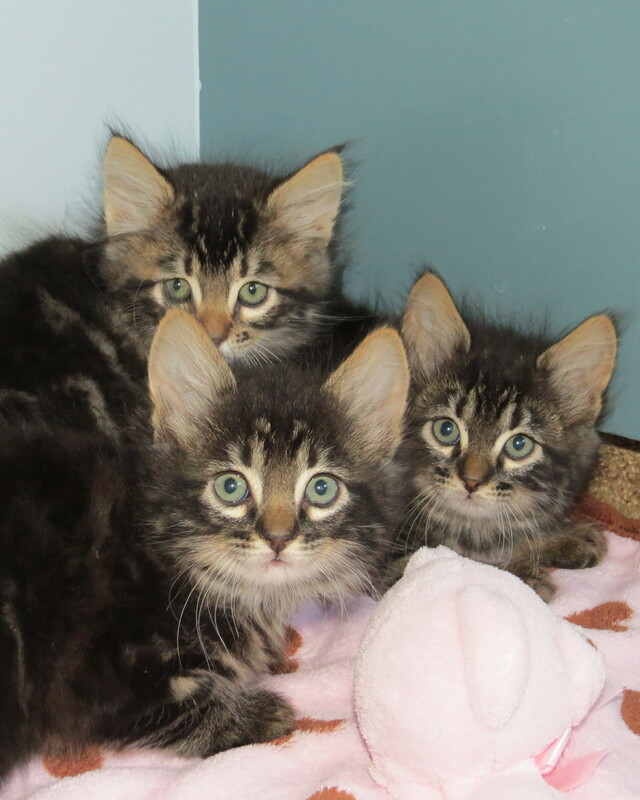 We average 50 kittens and cats in our foster home program at any given time. As you can imagine, they require lots of time, effort, and endless supplies. It is an ongoing challenge to provide even their basic needs of food, cat litter, and medical attention. Your tax deductible donations are always needed to help pay for food, medical supplies, and spay and neutering costs. We rely solely on donations and volunteer action from the Central Coast and San Luis Obispo community. Please contact the Feline Network to help — however you can.